The exhibition has started but fear not – it is not yet over and my neon painting “UV Liquid Gold” will be on display at the gallery in all it’s neon splendor for a while longer. For all of those of you who can reach St Albans there is a chance to see one of my fluorescent Acrylic on Canvas paintings. Illuminated with UV light it glows creating a realistic experience of the original scene. My UV photography is viewed under ‘normal’ lighting while my Neon Artwork is fluorescent and is best viewed under UV light. 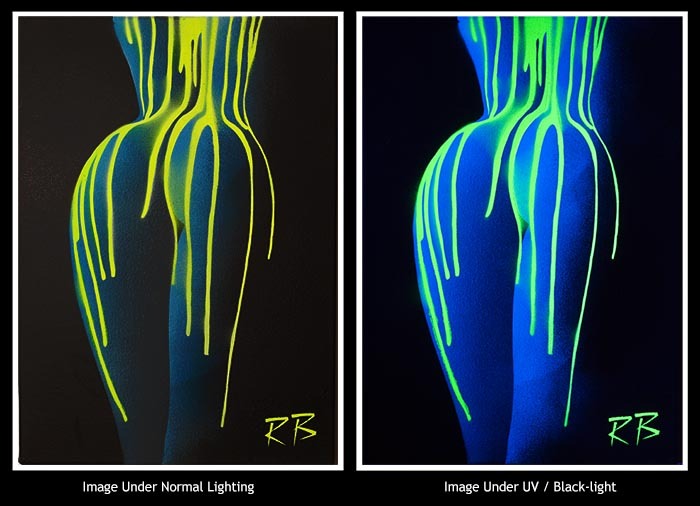 The painting may also be viewed under ‘normal’ lighting but it takes on a whole new aspect when seen under UV lighting. ​A story within the art piece. A hidden meaning. An abstract concept. On occasion the artist is generous and reveals to the viewer the reason and meaning behind their creations…often the observer must discover and invent their own interpretation. 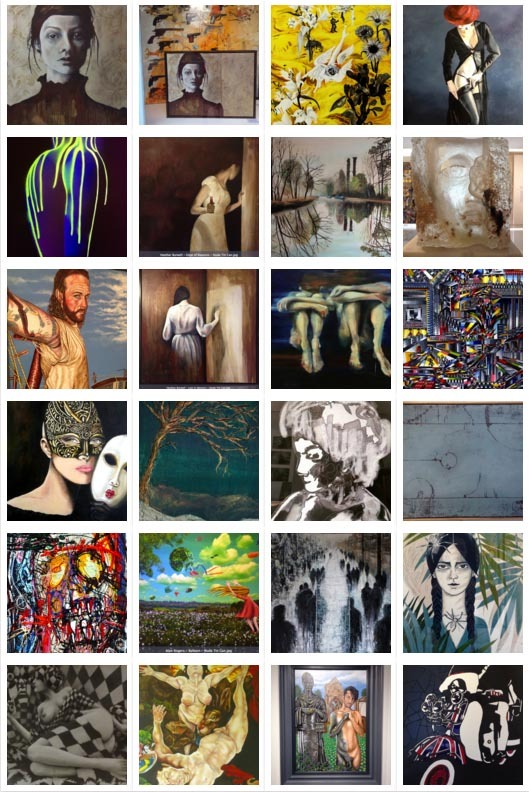 Each piece of art will encourage the viewer to wonder and discover the narrative behind the work. A person, a place, a happening. Viewing appointments can be made outside of opening hours. Whenever it is possible we stay open later Friday up to 9pm alternate weeks. Please check if we are open by calling the gallery if someone answers it will mean we’ll be open.